With an alarm system and IP camera system, you do not have to worry about burglaries. wireless alarm? That is also part of the options. We are experts when it comes to securing all objects that you can think of. address! You can order your (wireless) alarm directly from us. create a tailor-made special package for you with attention to your needs. Our alarm systems and camera systems are easy to assemble and install yourself. alarm and / or camarasystem for everyone as possible. camera with us at the right address. Alarm system Expert for advice. Our experts are happy to help you with more information. Gorinchem and view our collection of alarm systems and camera systems in the wild. objects. The system also offers automation in the home! 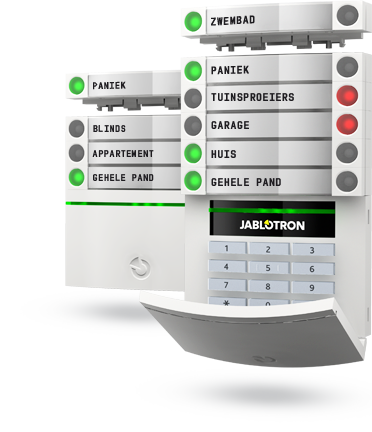 With a simple Visonic alarm system you can prevent a lot of dangerous situations. to control devices in your home and as supervisors for the elderly and the disabled. ease of installation, the PowerMaster alarm system meets all possible requirements. sent to a recorder or computer so that you can see them again afterwards. inside and outside the house. ability to automatically move and follow. are a Turbo HD recorder and a Turbo HD camera.